Availability: This product is discontinued and no longer available for purchase. For alternatives browse our Spirit Fitness department. 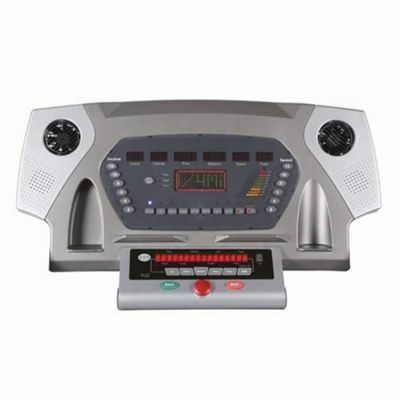 The Spirit XT675 Commercial Treadmill is a high quality running machine which has a commercial warranty for up to 3 hours continuous use per day making it ideal for personal trainers, institutional use, small business facilities and large families. The huge 3.0CHP motor drives the running belt up to 12 mph and you can adjust the incline up to 15%. The Spirit XT675 Commercial Treadmill was voted the best in its class. The platform flatbed has a very large 56cm x 152cm (22” x 60”) running deck surface so even if you drift while running the chance of stumbling even at its top speed of 12mph (20km/h) is greatly reduced. The orthopaedic running belt in coupled with the cushioned running deck appreciably reduces shock to your joints and muscles thereby helping you to avoid injuries. The console and controls have a wide range of facilities including silicone rubber speed and incline buttons situated in the handle along with a disable switch, cooling fans and a tri-colour dot matrix LED display with pulse rate zone graph and message centre. The 10 built in programmes will keep you motivated while the handgrip and telemetric pulse rate monitoring offer you the best possible way of tracking while training. Console:Tri-colour, fine pitch dot matric LED with heart rate zone graph & seperate message centre. Active buttons - silicone rubber with speed/elevation 'quick keys', dual cooling fans for added comfort. Running deck: 25mm/1” pre-lubed phenolic with variable durometer elastomer cushioning. 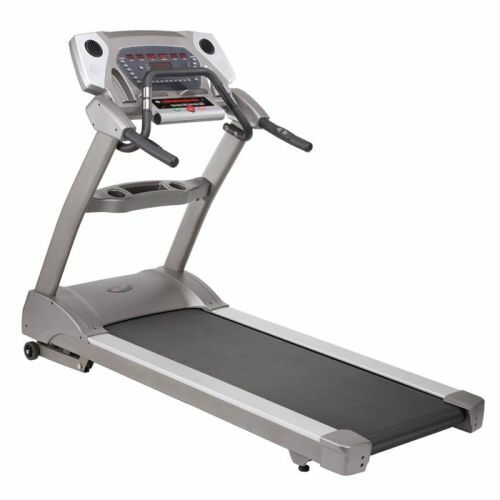 for submitting product review about Spirit XT675 Commercial Treadmill.